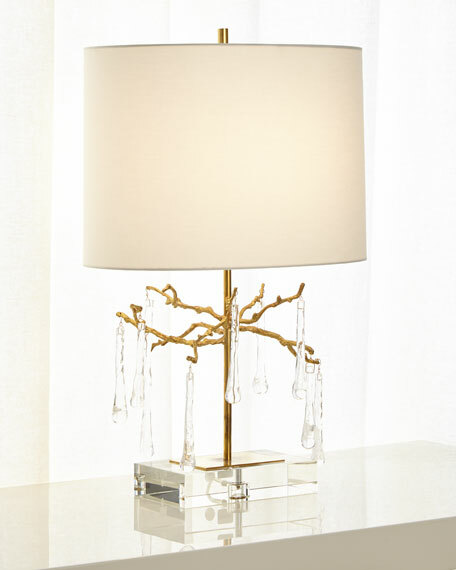 A table lamp featuring organically formed brass branches dripping with hand-blown glass teardrops on a crystal base. 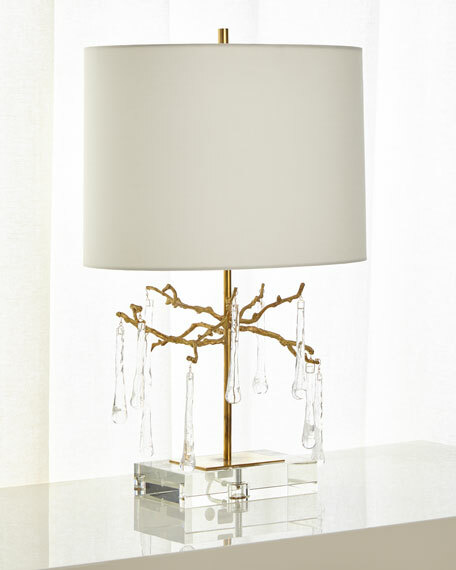 Handcrafted table lamp with crystal base. Overall, 18"W x 13"D x 28.5"T.